As an avid deer hunter I spend a lot of my time trying to create better habitat and food sources for the deer herd on the farms I hunt. This has become a real passion and enjoy seeing the fruits of my labor when I’m fortunate to harvest one of my “hit-list” bucks. Probably like a lot of you I put a lot of time, sweat, and money in food plots to provide better nutrition for the deer herd while trying to keep them on the land I hunt. This past year was tough on my soybean food plots given hot dry conditions that didn’t allow for maximum production. I was banking on having a lot of food come late season as standing beans are a deer magnet when temperatures plummet. Instead, I had a plot that offered enough food to get me through late season but wouldn’t provide enough nutrition into the colder months. To make matters worse the neighbor’s cow herd took advantage of my deer smorgasbord further reducing the amount of available food. The other thing that concerned me was the thought of having deer move off my property in search of food somewhere else. At this point doing nothing was not an option and felt that I needed to consider supplemental feeding. Supplemental feeding of whitetail in states that allow it is becoming a routine practice by land managers to increase deer carrying capacity during the most stressful period of the year (i.e. winter months when food is scarce). Several research studies have shown that supplemental feeding works if you are willing to pay for it. With me being in the situation with limited food resources I wasn’t about to compromise the health of my deer herd nor let the deer travel off my farm onto the neighbors. 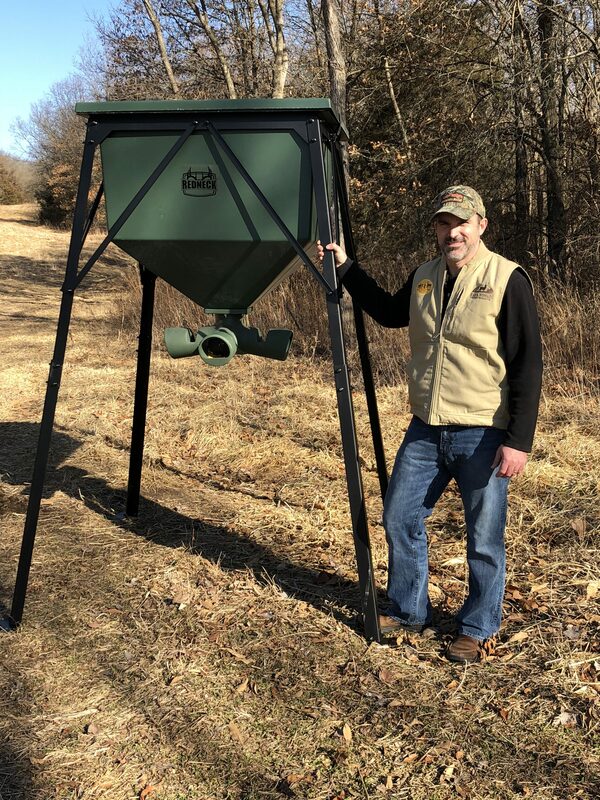 So last week (week of Jan 8th) I placed an order for a Redneck Blinds 750-pound gravity feeder and picked up a pallet of Real World’s Maximizer Plus Pro Formula Complete Feed that we recently developed to start supplemental feeding. 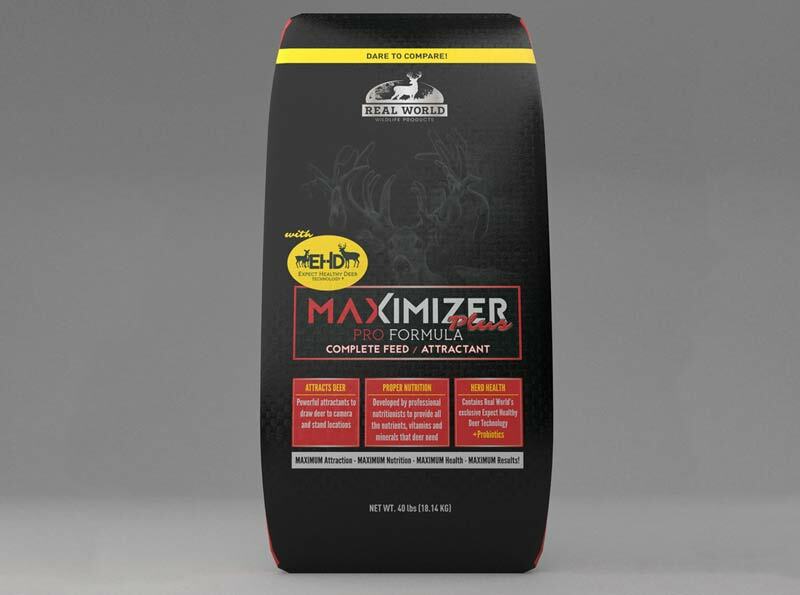 To learn more about Pro Formula Complete Feed / Attractant, please click here.